In many ways, the doctrine of creation in modern theology has been a doctrine in flux. Since the late eighteenth century, it has commonly been presupposed that legitimate theological knowledge extends only so far as empirical experience can carry it. As a result, much of what the Christian tradition had previously claimed to know about the world (e.g., creatio ex nihilo) and God (e.g., divine simplicity) no longer appears knowable. Even if metaphysical knowledge were possible, many modern theologians insist it would hold little importance for religion properly defined, for the essence of religion involves personal, ethical, and existential categories, rather than metaphysical ones. With this influential framework in place, classical accounts of the doctrine of creation will understandably seem obsolete and ripe for reconfiguration. The advance of modern science presents a parallel set of challenges. In relation to the contemporary findings of scientific disciplines such cosmology, neuroscience, paleontology, and genetics, classical accounts of the doctrine of creation seem increasingly outmoded or implausible. In some cases, traditional sources supply answers to questions no longer being asked (e.g., the creation of angels). Elsewhere, they provide answers apparently irreconcilable with the findings of modern research (e.g., the existence of an immaterial soul, the ancestral lineage of all human beings from an original pair of individuals). To be sure, modern theologies of creation are not uniformly dismissive of the tradition in any crude sense. Still, the general trend has been to truncate, update, and revise. The challenges have seemed sufficiently serious to demand the exploration of new frameworks and paradigms. 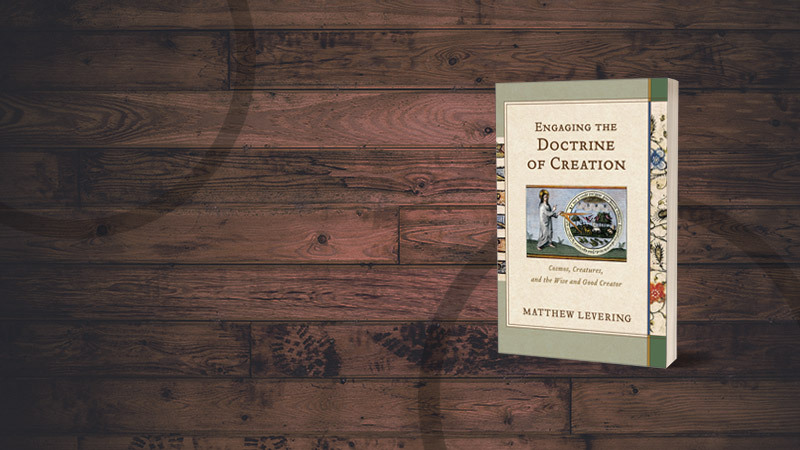 In his recent book, Engaging the Doctrine of Creation, Matthew Levering represents a very different approach. 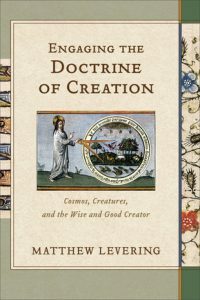 Levering is not glib about the modern challenges, but he is still convinced that a classical version of the doctrine of creation remains defensible and entirely relevant to contemporary questions and concerns. His is a project of retrieval rather than revision. Levering’s book adds to the work of Robert Sokolowski (1982), Ian McFarland (2014), Kathryn Tanner (1988), Kathryn Sonderegger (2015), Janet Soskice (2013), and David Burrell (1993), each of whom have already attempted to recover a broadly classical account of the doctrine of creation for contemporary use. In Levering’s case, the retrieval effort focuses especially upon the writings of Thomas Aquinas. Aquinas does not always speak directly to modern challenges, but Levering is convinced that Aquinas’ theology provides a compelling framework within which those challenges can responsibly be addressed. By recovering Aquinas’ doctrine of creation, the church is well-equipped to address contemporary questions and challenges in a nuanced manner without jettisoning the wisdom of the past. Engaging the Doctrine of Creation proceeds in a dialogical fashion. Each chapter places Aquinas in conversation with a modern interlocutor (or set of interlocutors) in order to explore some particular question, riddle, or objection pertaining to the doctrine of creation. What is the image of God described in Genesis 1 and can we continue to affirm along with much of the tradition that the divine image in human beings is closely related to the natural faculty of reason (ch. 4)? Why would a good and wise God create a world characterized by diverse profusions of biological life extending over millions and millions of years (ch. 3)? Can a traditional doctrine of original sin survive the findings of modern genetics concerning the origins of the human species (ch. 6)?Each chapter places Aquinas in conversation with a modern interlocutor in order to explore some particular question, riddle, or objection pertaining to the doctrine of creation. Wouldn’t the God who created this diverse world of creatures necessarily be internally diverse or complex as well (as Richard Dawkins argues), or is it still appropriate to affirm that God is simple (ch. 2)? Not all of Levering’s interlocutors are critics. In some cases, the conversation partner is a modern biblical scholar (e.g., Richard Middleton) or moral theologian (e.g., John Kilner) who happens to defend a view that differs in some important respect from Aquinas’. The overarching goal is to show that Aquinas’ theological framework provides viable answers to contemporary questions. The scope of Levering’s book is broad and diverse, so a comprehensive analysis is not possible here within the constraints of a relatively brief review. Instead, I will engage one especially important theme to illustrate the sort of contemporary appropriation of Aquinas’ theology Levering provides for his reader. In several different chapters, Levering emphasizes the proposition that creation is an imitative expression of God’s eternal being. Not surprisingly, he roots this idea in the writings of Aquinas.It should be noted that the same basic idea appears in the writings of many other medieval theologians, from Anselm to Hugh and Bonaventure. In ST I, q. 14, a. 6, Aquinas states: “the nature proper to each thing consists in some degree of participation in the divine perfection” (p. 61). For Levering, this suggests that all creatures are, in a sense, finite likenesses of God, each participating “in him by a likeness that he causes by his active presencing” (p. 62). Because the world and its creatures are “like” God in this way, the created order is accordingly theophanic. Everything in creation bears witness to God because everything in creation expresses in a finite manner some particular aspect of the divine beatitude. Levering summarizes: “Everything points to God, participates in God, and glorifies the wondrous actuality that God is” (p. 142). Levering leverages this idea in order to address a number of contemporary questions and challenges. In chapter 3, he suggests it may hold the key for solving a theological riddle that arises in relation to modern study of the prehistoric fossil record. Why would God have created a world in which billions and billions of organisms lived and died before human beings came into existence? Such a copious profusion of life seems excessively wasteful and unfitting on first glance. Why would a God of love and wisdom choose to instantiate a natural history characterized by such inordinate magnitude? If the hinge of history is the coming of Christ as Christians have traditionally understood it to be, the preceding sprawl of plant and animal life seems entirely disproportionate. And yet, Levering suggests, if we accept Aquinas’ basic insight, the immense profusion of life appears quite fitting. If the world is meant to express God, we would naturally expect it to exhibit an overwhelming richness of diversity, scope, and magnitude. The gratuitous bounty and fecundity of the natural world analogically signifies the infinite blessedness of God. Levering provides a quotation from Christoph Schönborn to explain the crucial underlying premise:If the world is meant to express God, we would naturally expect it to exhibit an overwhelming richness of diversity, scope, and magnitude. “No one creature alone can reflect God. It needs the whole plenitude of creatures to reflect God’s plenitude. The variety of creatures is the multiform expression of the goodness of God.”Christoph Schönborn, Chance or Purpose? : Creation, Evolution, and a Rational Faith (San Francisco: Ignatius, 2007), 59-60, quoted by Levering on page 144. It is a truism that Aquinas had no knowledge of the Cambrian explosion. Still—and quite remarkably—Levering insists he offers a metaphysical framework within which it is possible to make good theological sense of it. Levering appeals to the same idea in chapters 1 and 2 in order to address modern criticisms of Aquinas’ doctrine of God. The criticisms he engages are diverse, but each shares the overarching concern that Aquinas’ conception of God makes it impossible to affirm divine freedom. Aquinas thus inadvertently makes creation necessary for God. For Vladimir Lossky, Aquinas’ account of the divine ideas is especially at fault. If creatures exist as ideas within the eternal mind of God as Aquinas says they do, Lossky insists, then creatures are not contingent beings. If creatures exist as eternal ideas within the divine mind, God is not free when He creates them (pp. 42-53). Creation is simply the temporal actualization of a blueprint already embedded eternally within God. According to David Bradshaw (pp. 78f) and Ryan Mullins (pp. 100f) Aquinas’ understanding of divine simplicity creates a parallel set of problems. If God is pure act in the sense Aquinas intends, then everything “that is in God must be God, since God is sheer self-subsisting form and has no ‘accidental’ qualities” (p. 83). As a consequence, nothing about God—whether His being or His actions—are contingent in the final analysis. Aquinas’ God is pure act and thus incapable of actuating previously unactuated potencies. This seems to entail that God always acts by necessity, and this in turn seems to suggest that God never acts freely. The objections set forth by Lossky, Bradshaw, and Mullins are not identical, but they share the same basic concern. If we accept Aquinas’ theological framework, it appears that God is not free and creation is a necessary emanation from the divine nature. It is not possible within this short review to do justice to all of the nuanced objections posed by Lossky, Bradshaw, and Mullins, much less to provide a full recapitulation of Levering’s sophisticated rejoinder. The more modest goal here is briefly to reflect upon ways in which Aquinas’ understanding of creation as an imitative expression of God’s eternal being informs the debate for Levering. In other words, what difference does it make to affirm with Aquinas that the created order should be understood as a finite likeness of the divine plenitude? Does this affirmation influence the manner in which one should think about divine freedom and the contingency of the world? In the case of creaturely action, acts presuppose unactuated potencies, and potencies indicate a deficiency preceding the act in question. A carpenter makes a table where none had existed before. Parents beget a child and a new horizon of unprecedented experiences materializes. In each of these cases, the artifact of the action is new for the actor in an additive sense. Where there previously was no child, there is now a child. Where there was previously no table, there is now a table. To be sure, the carpenter may have had some idea of the table beforehand, but the blueprint is merely an anticipatory signifier. It is not the thing itself. Before the table is built, the blueprint design is little more than a promissory note of something that does not yet exist. Thus, when the carpenter builds a table, she bridges the gap from possible to actual. If Aquinas’ conception of God is correct, we require a different grammar for speaking about divine actions and especially the act through which God creates the world. God is maximally perfect, so creation cannot address a deficiency. God is pure act, so creation cannot realize a previously unactuated potency in God. Does this mean that the world is necessary for God, as Lossky et al worry? Here the imitative character of creation makes an important contribution. The point is not to suggest that God cannot act in new and contingent ways.If Aquinas’ conception of God is correct, we require a different grammar for speaking about divine actions and especially the act through which God creates the world. It is rather to insist that none of God’s contingent actions actualize potencies previously unactuated in God. Because the created order is a finite representation of the eternal divine perfection, the act of creation does not furnish anything to God’s experience that God previously lacked. Creatures are new for God in the sense that they did not always exist. It is also appropriate to say that creation actualizes formerly unactuated finite potencies (i.e., potential ways in which the infinite God can be expressed in creaturely media). And yet, creation is not new for God in an additive sense. Unlike the carpenter who acts from a posture of deficiency, creation instantiates a reality, which is already perfectly actual within the infinite plenitude of the divine life. It would continue to be so whether or not God chose to create. Creation does not add quantitatively to God’s knowledge, for example, because God already knows all creatures “precisely by knowing himself, because they participate in him by a likeness that he causes” (61-62). God knows himself, and in the single act of knowing himself God simultaneously knows all of the finite and contingent ways in which he can and will express himself. In other words, although Aquinas makes an important distinction between God’s necessary knowledge of potential finite things, and God’s contingent knowledge of actual finite things, neither category of things adds to God’s knowledge, because all finite things (whether possible or actual) are finally expressions, in their divinely willed finite mode, of the wisdom, goodness, and love of God’s own infinite life. It may initially seem as if this renders creation necessary since it sounds as though creation is eternally embedded within the mind of God. On the contrary, however, Aquinas’ point is actually to underscore the sheer metaphysical contingency of creation. If creation is an outward expression of God’s own eternal life, then the created order does not actualize anything that was not already perfectly actual in God. Creation actualizes potencies within the event horizon of finitude, but it does not actualize a potency in God, because God from eternity freely wills to create and that which God freely wills to create does not add something God would otherwise lack. In short, for Aquinas creation truly did not need to exist, and creation is therefore entirely free and contingent so far as God is concerned. By emphasizing this aspect of Aquinas’ theology, Levering provides a fruitful reframing of ongoing theological discussions concerning the nature of divine action. Of course, the imitative character of creation is not a silver bullet. The point here is not to suggest that Levering’s rejoinder is unassailable, as if this simple idea were sufficient by itself to deflect the nuanced criticisms posed by Lossky, Bradshaw, and Mullins. Indeed, Levering’s response to these criticisms involves far more than what I’ve been able to summarize in these paragraphs and there are complexities to the problem beyond the handful of issues here discussed.Levering’s dialogical approach to the task of retrieval furnishes a robustly creative and kaleidoscopic exposition of the doctrine of creation. And yet, this particular case study conveys something of the immense generativity of Aquinas’ theology and its impressive capacity to address and reframe contemporary questions. It is remarkable to notice that Levering uses the same basic idea from Aquinas to address the existence of dinosaurs and the riddle of divine freedom—the mark of a capacious theological insight if ever there was one! Some may worry that the importance of Aquinas has been elevated a bit too highly in Levering’s project. Without gainsaying the distinctive importance of Aquinas, one might reasonably wish Levering had drawn a bit more diversely from the ecumenical cloud of premodern witnesses. This turns out to be a very minor concern. It is certainly not Levering’s intention to imply that only Aquinas has an important contribution to make to these issues. In the final analysis, Engaging the Doctrine of Creation is a wonderful example of what it looks like to put the tradition to work in relation to contemporary questions. Levering’s dialogical approach to the task of retrieval furnishes a robustly creative and kaleidoscopic exposition of the doctrine of creation. David Luy (PhD Marquette University) is Associate Professor of Biblical and Systematic Theology at Trinity Evangelical Divinity School. He has published a book entitled Dominus Mortis: Martin Luther on the Incorruptibility of God in Christ (Fortress Press, 2014) and has contributed to various journals and encyclopedias.